The first step in making Ancient Sumerian Happy Juice is making the wine. I’ve done that, it’s bubbling away, and it smells like wine. I also added some beer yeast to the mix, just to cover all the bases. The second step in brewing “the juice” is baking the beer bread, called bappir. Bappir is a mixture of ground (barley) malt, (wheat) flour, and honey. (I’ll post the full recipe at the end of this series.) In past batches, the malt has been ground very finely, almost into flour. This time around, I simply crushed the malt as I would for brewing. A sourdough starter was the source of the flour this time, for no other reason than I had a big sourdough starter in my kitchen. I mixed the crushed barley malt and sourdough starter together, then started folding in the honey and water. The dough was very sticky from the honey, and about the consistency of cookie dough. Once mixed, I covered a cookie sheet in aluminum foil, greased the foil with olive oil, and poured the batter on the sheet. In retrospect, I could have covering the sheet in parchment paper and skipped the greasing. Using a spatula, I spread the dough over the cookie sheet so it was evenly thick — about three quarters of an inch (~2 cm). 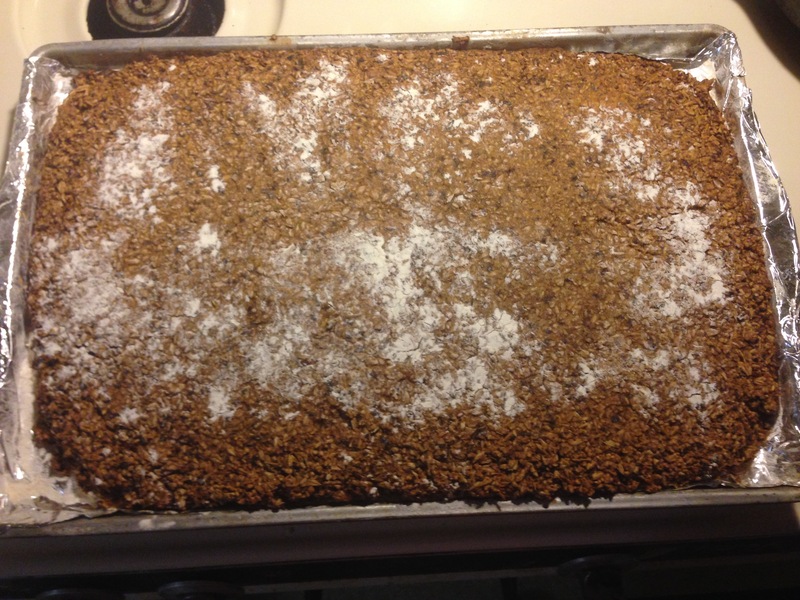 Then I baked it in an oven pre-heated to 350 °F (180 °C) until the internal temperature was 190 °F (88 °C). This took about 35 minutes. 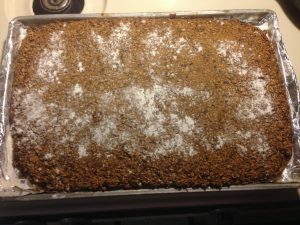 The “sheet cake” browned a little, especially around the edges. Then I let the it cool. In the “sheet cake” stage. 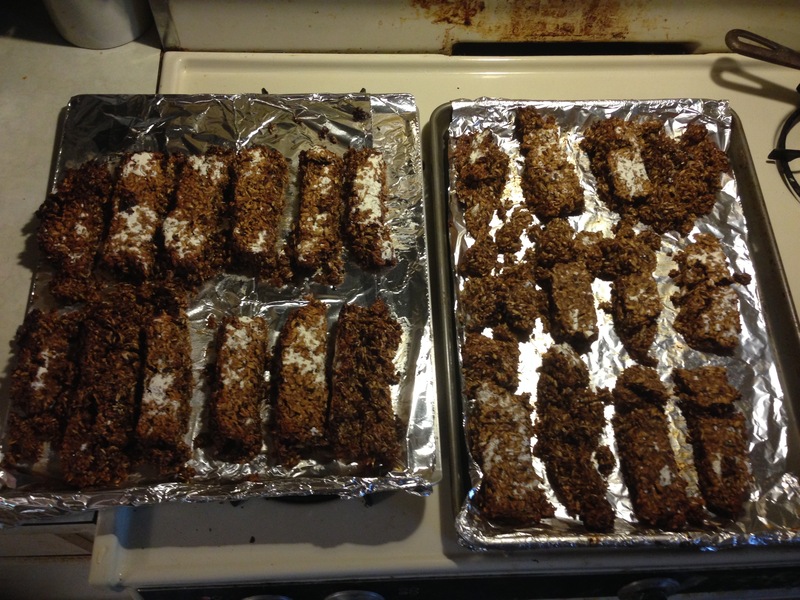 The next day, I cut the bread into “logs,” roughly the size and shape of biscotti. I then put them on a (greased) cookie sheet and baked them a second time until the interior temperature reached 200 °F (93 °C) and the “cookies” hardened. They also picked up some more color, but were not burnt. They taste — not surprisingly — like honey cookies. Up next — actually making the wort!